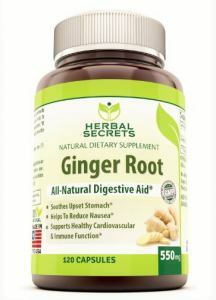 Ginger has for over 2000 years, helped with digestive issues, reduce nausea and dizziness. Even fight colds, flu, and a whole lot more. Ginger belongs to the same family as the mighty Turmeric and Cardamom; it is no wonder that the benefits of Ginger are so highly praised. Thought to have originated mainly in India but also China, Ginger was a highly sought after spice that became part of the spice trade used by the Ancient Romans who helped to introduce Ginger to the many regions at the time of which now is known as Europe. It has become a common ingredient in many South Asian cuisines as well. From being included as a spice in many dishes to its use in cakes, tea, candy, drinks both Non-alcoholic and alcoholic. Its use is so popular, that a man became famous as a result. However, not only is Ginger extensively included in many culinary dishes around the world, but the powerful health and medicinal benefits are awesome to behold as well. 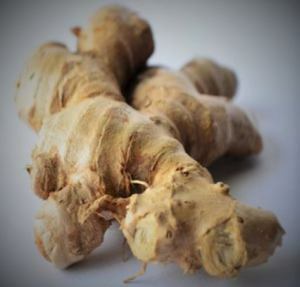 One of the major volatile oils found within Ginger is Gingerol. This is why you get that spiciness from Fresh ginger; however, depending on how ginger is used will also change the chemical aspects of Gingerol as well. This transformation will explain when using Ginger in different forms, why it has a different taste according to what form of Ginger you have before you. 1. As Fresh Ginger, Gingerol will give you a certain spiciness taste. 2. When Fresh Ginger is cooked, the Gingerol changes its compound that becomes Zingerone. This will now give you a spicy-sweet aroma. This is why you get a different taste and flavour when using Ginger in cooking foods such as cakes. 3. The third transformation is when you dry Ginger. Here the compound changes to shogaols. With dry Ginger, this aroma and taste can now become twice as pungent as the original Gingerol. So now, you can see why and how the aroma and taste of Ginger can be different depending on how you use it. For centuries, Ginger has helped to reduce inflammatory conditions within the body. One such condition is inflammation of the colon. By reducing the inflammation, it will also decrease the risk of colon cancer as a result. 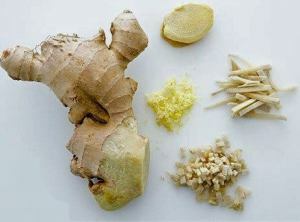 The use of Ginger has also shown promise in the treatment of inflammation that relates to osteoarthritis. This can range from sufferers with irritable bowel syndrome along with many other issues of the digestive system. 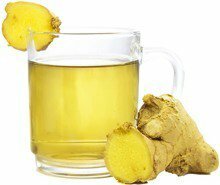 One such benefit is for those who become nauseous which may not necessarily be related to food, although Ginger will help with this as well. The other nausea is what is termed as motion sickness. This can be movement related to car sickness, those terrible swaying up and down feeling you get on a boat along with the feeling of nausea when up in a plane. For many, this support can come in the form of a tea but you can’t always have a cup of Ginger Tea while on the boat, plane or car. To remedy this, there are Ginger supplements (refer to image below) that can ease the stomach pains you face in such conditions. This is so handy to have around especially when you are travelling. You never know when you or a family member or friend may be in need. These supplement below are great because that is also 100% free of sugar, milk, lactose, soy, gluten, wheat, yeast, sodium and fish. Period Pain and or Cramps? It is believed that taking Ginger in the form of a tea has been shown to be more beneficial in relieving menstrual cramps and pain than taking drugs available over the counter. Ginger tea is available in tea bag form or failing this, grate a few slivers of Ginger and place it in your cup with some hot water. Let it infuse for a little while before taking some warm sips along the day. For best results, it is best to continue this every day from day one. 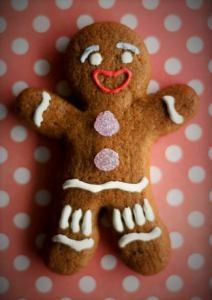 Ginger has anti-inflammatory properties, which can help to relieve and possibly reduce arthritis inflammation. This is a great natural form of pain relief rather than turning to pills. However, in saying this, always consult your doctor for profession opinion before any changes made. We all build up Gas in our digestive system and passing gas is quite a normal process. In fact, the average person will pass gas around 10 times a day. If you are on your own and let one rip on one knows the difference but you. However, there may be times when you are not on your own and for some can become quite embarrassing depending on the circumstance as well as the severity of the one that got away. There are many reasons what causes gas. This can be as simple as excess air swallowed that entered into the digestive system, right to the type of food you eat and even certain health conditions that may be before you. Remember this is a normal body reaction but can also lead to issues that are more serious if it becomes out of control. You will find over the counter medicine that is available to work on helping to ease but nothing will stop it in its tracks, as this is a normal human process in life. It is the ones that may cause concern that may need to be looked at. Fortunately, Nature can also be there to help you as well. We know that Ginger works well as a carminative. This action works well to help reduce any digestive inflammation or issues that may create the excess gas that is outside the normal state. Grate some Ginger for your tea. You can grate fresh ginger into stir-fries, soups and other meals where ginger works well with and in doing so this can help to reduce or minimise unusual flatulence. Changing to a healthy lifestyle and finding the common causes of your unusual flatulence is also important. Studies have shown that Ginger may have a role in lowering cholesterol. Although Cholesterol has been linked, with increases in the risk of heart disease, it is not the sole cause of this issue. However, are you prepared to take the chance? During these studies, a reduction in LDL cholesterol (The bad one), was made in a similar way to cholesterol drugs designed for the same purpose. The great part of this is that although there was a reduction in LDL cholesterol, there was no reduction in HDL Cholesterol (the good one). This study can lead to greater results as more is studies may be required. I would love to hear your points and views on how Ginger has helped you in maintaining your health or helping to overcome any issues where Ginger has been used. In the meantime, wishing you well in all you do.